Imagine you hired a tennis coach to help you improve your game. Then you showed up for the first lesson and he suggested that you observe as he played for the next hour. You’d probably ask for your money back. What if he suggested that he spend the hour observing you? He’ll take some notes and then the two of you will go through it later. Again, you’d be wondering why you are paying this guy. What if he suggested that you focus on your game and, since you are so busy, he will help you out by picking up your balls? You would be wondering when this guy actually planned to provide you with some coaching. By now you may have recognized some of the most common practices used by literacy coaches; modeling, observing, and serving as a resource provider. While each of these methods offers some value to teachers, there are other ways we can take coaching to the next level. Most of us would define a good coach as someone who helps you get better at your game. Someone who is on the court, by your side, making sure you reach your goals. When we model an entire lesson, it assumes that transfer is as easy as watching and doing. This can lead to an uneven relationship that puts the teacher in a passive role. On the other hand, observing teachers may feel more like evaluation than coaching. If my tennis coach took this approach, I’d be anxiously wondering what he really thought, if I looked silly, or if I was on the right track in my game. Then again, when we serve as resource providers, we are being helpful at the expense of coaching. There is no question that teachers are overwhelmed and busy. But this is all the more reason to get in there and coach the teachers towards their goals for teaching and learning. Co-teaching is an untapped strategy that provides coachable moments throughout a lesson. It is a dynamic process in which the teacher and coach work together to move student learning forward. In a classroom where co-teaching is occurring, it’s hard to tell who the teacher is and who the coach is, because both are engaged and involved partners in the delivery of the lesson. To get there, the teacher and coach develop a shared vision through co-planning and then work side-by-side to ensure that they get the results they are looking for. The following strategies for co-teaching create partnerships that are the hallmark of student-centered coaching. Noticing happens when a teacher and coach are actively tuned in and looking for evidence of student learning. Naming happens in the explicit use of this information, either on the spot or planning after the lesson, to make decisions about what the students need next. For example, the coach and teacher may engage in discussions with a group of students to uncover their thinking, listen in as students discuss their learning with peers, note what the students are independently reading and writing, or all of the above. The key is for the coach and teacher to collect evidence that will inform future instructional decision-making. Evidence may include observational data, conference notes, short assignments, exit slips, notes from student-led discussions, student reflections on their own learning, or a myriad of other ways wherein we monitor student learning as it happens. While we haven’t banished modeling from our coaching practice, we like to use it in targeted and strategic ways. A good tennis coach models certain aspects of the game, such as how to serve the ball or play backhand. The key is to model what’s needed in the moment, rather than the whole game. When planning the lesson, the coach may ask, “What would you like to do? And what would you like me to do?” For example, a coach may model the send off at the end of a mini lesson, demonstrate a few reading conferences, or teach a think aloud. The objective is for the modeling to directly connect to the goal the teacher has set. This ensures that the coach is supporting the teacher in a way that will have an impact on future lessons. We can’t underestimate how much decision-making occurs throughout a lesson. When a coach or teacher thinks aloud, they make their thinking visible by sharing their thoughts and instructional decisions as they happen. Many teachers are comfortable using think aloud to share their thinking with the students. We suggest for coaches and teachers to use the same practice when they are co-teaching. Thinking aloud also provides opportunities to address coachable moments rather than waiting until a future planning conversation. Examples of thinking aloud include; real-time problem-solving, clarifying vocabulary, supporting student engagement, or adjusting the pacing of the lesson to better align with the needs of the students. With this move, the coach and teacher deliver a lesson as partners rather than as individuals. Like the others, this strategy requires co-planning so that the teacher and coach are clear about the instructional practices that will be used to move student learning forward. When co-planning, the teacher and coach think about how they will maintain high levels of engagement, how they will differentiate and formatively assess, and strategies for managing behavior. When you think about all the factors that go into a successful lesson, teaching in tandem starts sounding like a great idea. I’ve modeled a lot of lessons over the years. In fact, when I started as a coach, I did little else. I’d teach what I thought was a fabulous lesson and then wonder why I didn’t see it transfer to what teachers did in their classrooms. Needless to say, this is a bit embarrassing to admit now. Using a variety of strategies for co-teaching has helped me create more coachable moments with teachers. We are on the court together, working through all of the details that add up to high-quality teaching and learning. Diane Sweeney is the author of Student-Centered Coaching, Student-Centered Coaching at the Secondary Level, and Learning Along the Way (Stenhouse, 2003) has been an educator for over twenty years. Diane holds a longstanding interest in how adult learning translates to learning in the classroom. 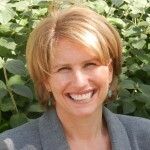 Currently she is a consultant serving schools and districts throughout the US and abroad. For more information, please visit www.dianesweeney.com. Have you heard Andy Hargreaves talk about how to transform your school into a culture of collaboration and shared responsibility? 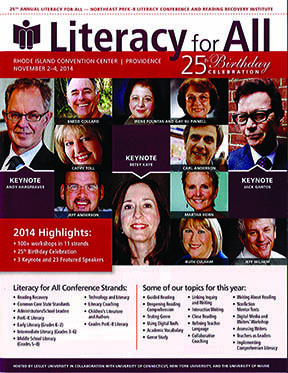 Join Andy Hargreaves to hear his keynote and breakout sessions at the Literacy for All conference, which celebrates its 25th anniversary this year. 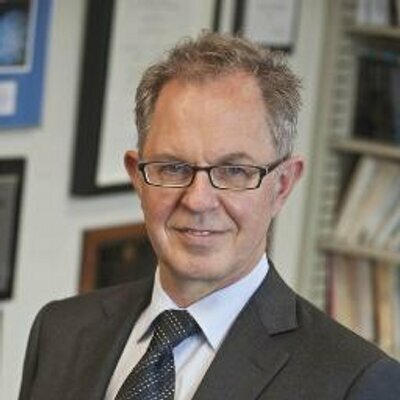 Professor Hargreaves’s keynote address on “Collective Responsibility for the Success of All Teachers and Students” will present the case for collective professional responsibility as the key to school improvement. In his first breakout session, “Collective responsibility in action,” Professor Hargreaves will discuss ways of schools working together to improve performance. In his second breakout session, “Collective Responsibility in Business, Sports, and Education,” Professor Hargreaves will highlight school communities in which the role of school leaders is to nurture the teachers’ passions and inspire and uplift their teams’ performance. Past participants have embraced the Literacy for All Conference as the premier professional development event in the northeast. This year’s sessions and pre-conference workshops offer a wide range of topics that will support and lift the learning of all participants. Administrators and school leaders are invited to attend a number of sessions that have been designed with their needs in mind. In many school districts across the nation, reading teachers are spending increasing amounts of time in the role of coach to support the professional learning of peers and improve whole school achievement. What will it take to grow professionally, from previously providing direct service to students, to supporting collegial learning? Topics in this institute will include: re-envisioning your role, building relationships with colleagues, anticipating challenges, using language that fosters teacher reflection and teamwork, developing systematic observation skills, identifying essential areas of new learning, helping colleagues re-envision their roles as team members, and working with your school principal to improve student achievement and meet the Common Core State Standards. Relationships are the foundation of successful literacy coaching; however, for student progress to be accelerated and continual, it’s imperative that the teacher-coach-principal relationship is strong and maintained. In this session, you will learn ways to develop and strengthen the relationship of key stakeholders in their schools through a systematic coaching model. We will provide examples of scheduling, data collection, and staff development, which has led to seamless coaching experiences and increased student achievement. 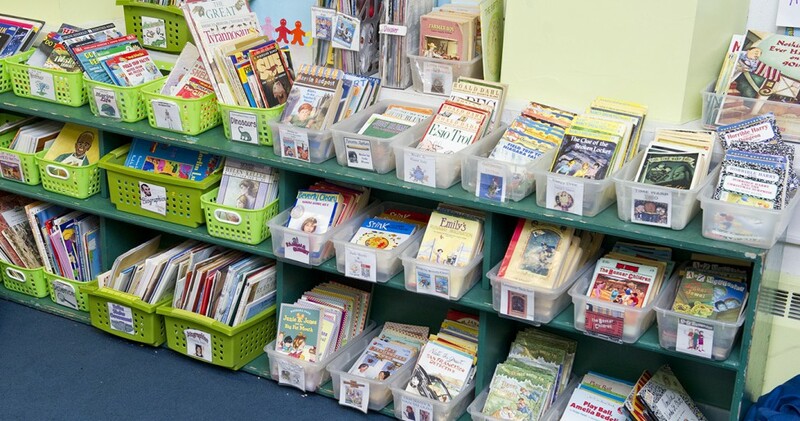 Learn about a partnership between your school or district to implement a powerful, research-based comprehensive model of authentic literacy that demonstrated 32% improvement in student achievement in three years. Establish coherent instruction through the teamwork of classroom teachers, specialists, content area teachers, the principals, and the training of literacy coaches. In this session, we will explore a model that can be used to help schools or districts monitor and improve their literacy implementation. You will learn how to propose a hypothesis, gather soft and hard data to examine the hypothesis, set goals based on this data, and design and implement a plan for meeting these goals. We will use an actual case study from a Literacy Collaborative school district as a model for this session. You will have time to explore the needs of your school or district, and receive feedback about the kinds of data you could collect to begin your own inquiry study. As we enter the era of the Common Core State Standards, writing has never been more important. Teachers are hungry for leadership and support in making their writing classrooms places where important learning takes place every single day. In order to provide this support, principals and literacy leaders need an understanding of the best writing practices so they can be active participants in discussion about how to improve writing instruction. This workshop will address the four Ws– Writing Process, Writing Traits, Writing Modes, and Writing Workshop– and how to organize the school year around them. It will provide hands-on experiences with tools to use in collaboration with teachers that promote discussion, track improvement, provide feedback, and inspire the changes that the Common Core State Standards are challenging educators to meet in today’s writing classrooms. This workshop is sponsored by Scholastic, Inc. Very few people disagree with the premise of Response to Intervention, but how do we make it work effectively in schools? Join our roundtable discussion as several administrators and staff developers share the nuts and bolts of how they make RTI a reality. Hear ways different schools create effective schedules and coordinate instruction between classrooms and interventionists. Learn more about designing small group and individualized lessons, monitoring student progress, and enhancing professional learning. Systemic change occurs when all stakeholders are committed to student learning, student achievement, best practices in Tier 1, and professional growth. We will highlight the benefits of whole school collaboration, instructional coaching, common language, and common practices. We will discuss and explore our literacy journey within the Maine Partnerships in Comprehensive Literacy, and each presenter will discuss her role in supporting and sustaining systemic change. Small group activities, video clips, and discussions will be used to engage participants. Developing and implementing a comprehensive literacy plan can be challenging. This panel discussion will explore the factors associated with successful implementation of comprehensive literacy, paying special attention to the role of interventions in creating success for all students. “I’ve been a teacher for eight years. For the past couple of them, my performance in the ______ room has reached a plateau. I’d like to think it’s a good thing—I’ve arrived at my professional peak. But mainly it seems as if I’ve just stopped getting better…. During the first two or three years in _________, your skills seem to improve almost daily…. Mastery is about familiarity and judgment. You learn the problems that can occur during a particular _________ or with a particular _____, and you learn how to either prevent or respond to those problems…. Even before you start, you need to make some judgments. Unusual ___________, severe ______________, or ___________ could make it difficult to teach this student. You have to decide which ___________ method to use—there’s a range of options—or whether to abandon the high-tech approach and _________ the lesson the traditional way…. Over time, you learn how to head off problems, and when you can’t, you arrive at solutions with less fumbling and more assurance. After eight years, I’ve taught more than two thousand ________________. I’ve gained confidence in my ability to handle a wide range of situations, and to improvise when necessary. As I went along, I compared my results against state data, and I began beating the averages. My rates of students failing the state test moved steadily lower and lower. And then, a couple of years ago, they didn’t. It started to seem that the only direction things could go from here was the wrong one. As you might have guessed, the paragraphs above are not from an article about teaching, but rather from an article in The New Yorker by Atwul Gawande about his experiences as a surgeon. The article is called, “Personal Best: Top Athletes and Singers Have Coaches. Should You? In this article, Gawande describes how he found himself a surgery coach when he felt his surgery skills had stopped improving. So, if you want to learn more about classroom coaching or share a great essay about coaching with one of your colleagues, read Atwul Gawande’s article in the October 3, 2011 volume of The New Yorker.